Today, it’s quite the thing to stay in yurts or enjoy glamping experiences. But in the 1930s and 40s seven motels were built in various places in the USA and luckily, three of them still survive. 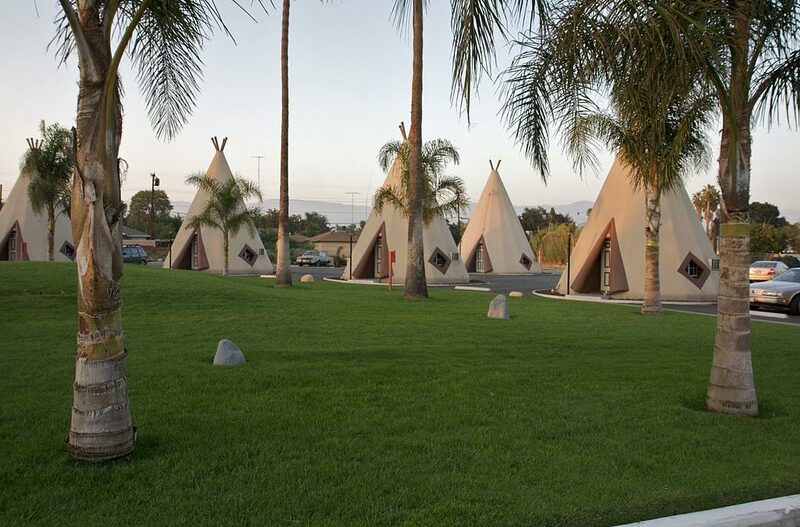 Based on the tipi, these motels consist of groups of concrete and steel ‘motel rooms’ each with its own en suite bathroom. These motels were constructed between 1933 and 1949. Today the remaining motels are decorated in the style of the day. The bathrooms too are unrestored and are those lovely mid century modern tiles bathrooms with their stylish sinks and tiled showers. They are certainly a trip to days gone by. The accommodations aren’t huge, as you’d imagine, but they are cosy and you’ll have everything you need. And at the time of writing, a wigwam with a queen bed costs only $69 per night. If you’re a fan of mid century modern architecture then this is it at its kitschy best! 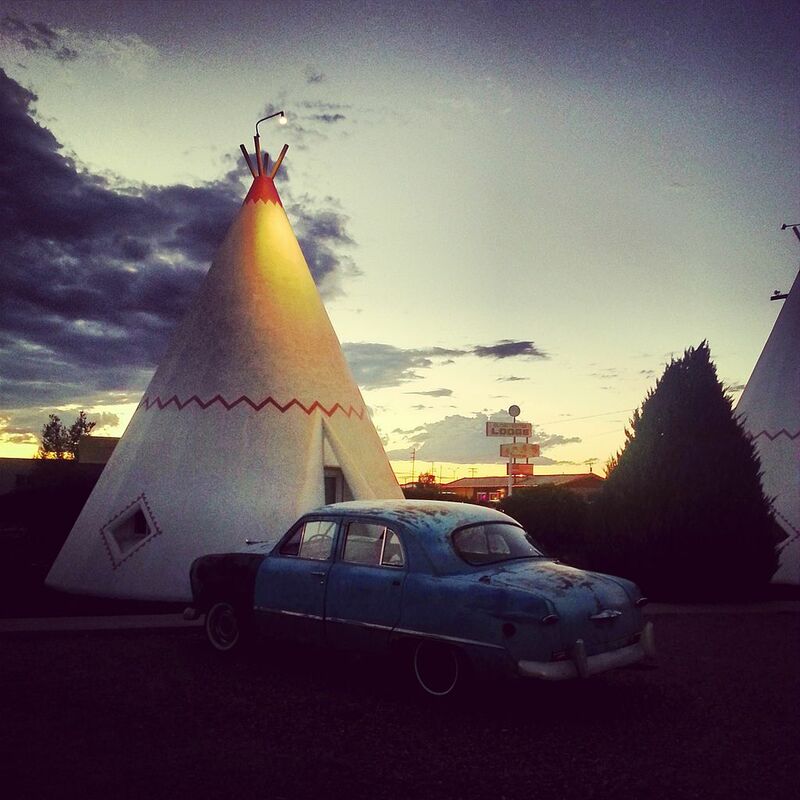 Two of the remaining motels are on Route 66 which is surely a drive that’s on so many wishlists. All three properties are now listed on the National Register of Historic Places.